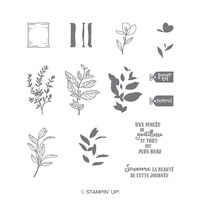 Promenade printanière Clear-Mount Stamp Set (French) by Stampin' Up! 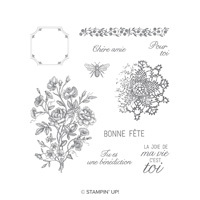 *This host stamp set is only available with Stampin’ Rewards. A bird in boots, a happy snail and sweet strawberries. 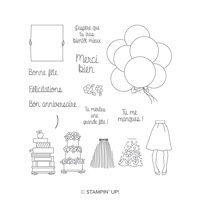 For the cheerful occasions in life.